The European Union has again cautioned Spain over poor air quality, particularly in the cities of Madrid and Barcelona, and has given Spain along with eight other EU member states whose level of air pollution is in violation of EU standards just one more week to comply or face sanctions before the European Court of Justice. 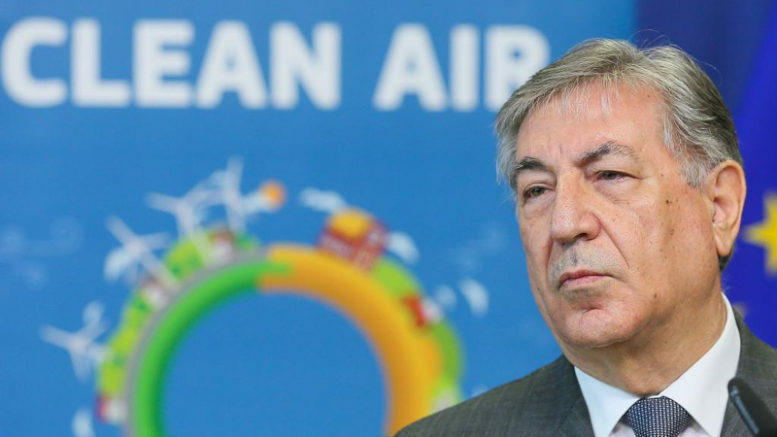 The warning came this week in Brussels from European Commissioner for the Environment Karmenu Vella, who after a meeting with ministers and senior officials from the nine countries in question said he considered their proposals to combat air pollution inadequate. Vella said that if the proposals were not replaced by the end of next week with credible plans, he faces no other option than to haul them before the EU’s Court of Justice, where they could face stiff fines for non-compliance. In the case of Spain, the air contamination problem is particularly worrisome in the cities of Madrid and Barcelona, where nitrogen dioxide (NO2) levels from automobile traffic are far in excess of EU-mandated levels. For several years running, Madrid has been found to be violating EU air-quality regulations on NO2 levels repeatedly during the coldest winter months, when a brown haze settles on the Spanish capital for days on end. But Spain is not alone, as each year more than 400,000 people living in the EU die prematurely because of problems linked to air pollution; millions more suffer chronic respiratory and cardiovascular problems. Despite repeated warnings, air quality limits are frequently exceeded in 23 of the 28 EU member states, with more than a dozen countries said to be facing sanctions for repeated infringement of EU air pollution norms.